Kennedy prides itself on its selection of exquisite brands of mens and womens luxury watches, including Rolex, Girard-Perregaux and Panerai. The world’s finest destination for luxury watches and jewellery, Kennedy has four multi-brand boutiques: The Star Sydney, Crown Melbourne, Crown Perth and Kennedy Chadstone, and six mono-brand boutiques: Rolex Martin Place, Rolex Crown Melbourne, Graff Crown, IWC Melbourne and Panerai Melbourne. 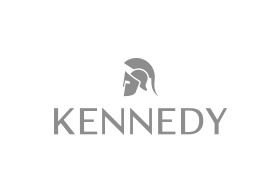 Kennedy is an official retailer of mens and womens luxury watches and provides a memorable retail experience for its customers with attentive, personalised service paired with exceptional product knowledge. Kennedy is owned by Australia’s leading luxury brand retail group, Kennedy Luxury Group, who specialise in the world’s most desirable luxury brands; including Loewe.